San Rafael, a city just north of San Francisco, recently made active a smoking ban which prohibits smoking cigarettes inside any dwelling that shares a wall with another unit and this would include condominiums. 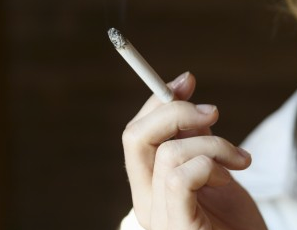 It is considered the strictest smoking ban in the country. Follow this link to read the story. San Rafael made it clear that it is the City’s hope to eliminate secondhand smoke from creeping through doors and windows, ventilation systems, floorboards another susceptible openings. Boards and managers for condo associations tell us that they want to do the same thing. What we tell them is that they can, if they are willing to invest the necessary time and effort. Condominium associations have approached us regarding an amendment to their CC&Rs that would prohibit smoking within the units themselves. Many of our condominium association clients already have bans on smoking in the common area as the board has the power and authority to make rules regarding use of the common area. But when it comes to restricting smoking within a unit itself, that must be done by an amendment to the CC&Rs. As California cases have held that community associations are quasi governmental agencies and/or municipalities, and as community associations have the right to restrict what an owner resident can do within the unit, such as restricting the number and size of pets, etc., it stands to reason that a condominium association would have the right to ban and restrict smoking within units as well as the common area. But only if the CC&Rs are amended as most CC&Rs do not permit boards to make rules relating to activities inside of units unless the use constitutes a nuisance. And while smoking is often a nuisance, not all smoking reaches that level. We do have clients that have adopted such bans and they have thus far been successful in enforcing their restrictions on smoking. The fact is that less than a quarter of all residents at community associations smoke (based on surveys that tell us that less then 25% of Californians smoke). As the vast majority of owners do not smoke and do not want to smell cigarette smoke (or cigar, pipe or marijuana smoke as well), the non-smokers will often assist the board in enforcing the prohibition on smoking by reporting any smoking or smoke that they encounter and supporting the board’s enforcement efforts. While adding a ban on smoking does take some work, our clients that have adopted such bans have told us that they are pleased with their efforts and especially the result: a smoke-free association. If your community association is interested in banning or prohibiting smoking within homes or units, please contact our office for more information on how your Association can likewise become smoke-free.